PurpleGeezer wrote: Gran resulto a partir de trabajo Duro. I think you're correct, it has to be their hard work, because virtually all the "riders" are women recruited from the UP student body, not "blue-chippers" who came from outside UP. It is too bad the ladies crew were overlooked, but do U have any other schools that competted at Eugene ? It is too bad the ladies crew were overlooked, but do U have any other schools that competed at Eugene? I can see why you'd be interested in boating, sailor! Oh man, you made me do a little digging, but I've got an answer to your question. 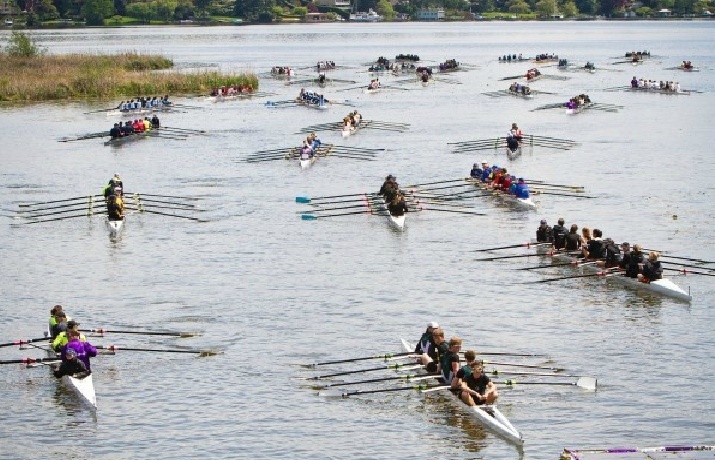 The Covered Bridge Regatta has a number of college and high school crews, as well as a bunch of rowers who are no longer attached to a school. So without going into the details (I'm just too lazy) I can report that in the various races that involved UP, they faced off against, Oregon, Humboldt State, Lewis & Clark, Seattle Pacific, Willamette, Portland State, Seattle U, and Evergreen State. 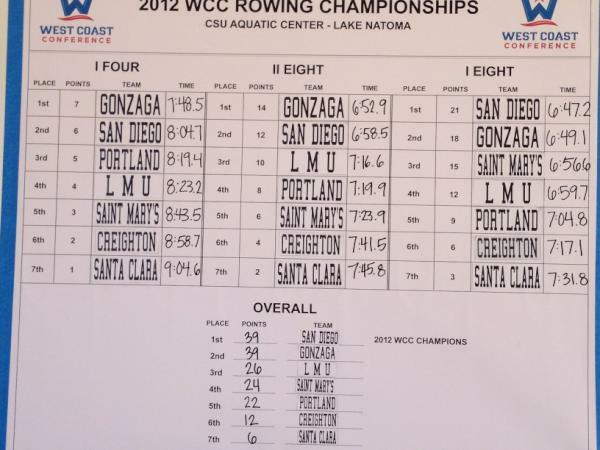 the women went up to Seattle for the Opening Day regatta and did pretty well. OK, the varsity four didnt fare so well, probably because some of the rowers were in the Varsity eights that went off right after. but the varsity eights did much better. both entered the same heat and came away with a second and a fourth against two UW boats and a Western Washington boat. the second place boat missed the first place finish by a little over a second. The @portlandpilots take 5th in their first WCC championship! And, they were only 2 pts out of 4th & 4 pts out of 3rd. A very good first year ladies - WELL DONE! Terrific first year. Remember both varsity eights were rookies this year. A great foundation to build upon. Congrats also to Sarah Ryan for making the All-WCC team.